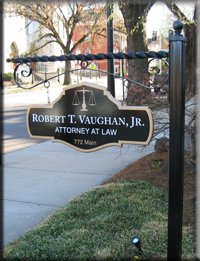 Robert T. Vaughan, Jr. has been providing legal services in the City of Danville, Virginia, and the surrounding area for 38 years. 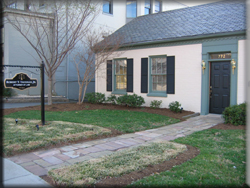 His practice area extends to the counties of Pittsylvania, Henry, Halifax, Patrick, and Mecklenburg, Virginia, and to the City of Martinsville, Virginia. Robert T. Vaughan, Jr. concentrates his practice in the areas of Real Estate, Commercial and Residential transactions, Estate Planning, Wills, Trusts, Tax Planning, Probate and Administration, Elder Law, Guardianships and Conservatorships, and the formation of Businesses, Corporations, Limited Liability Companies, Partnerships, and the representation of businesses and their owners in general matters. The firm engages in litigation on behalf of its clients relating to these areas of practice. Robert T. Vaughan, Jr., P.C. has knowledgeable and experienced staff to support the practice. Office Hours are 9:00 a.m. to 5:00 p.m., Monday through Friday, and by appointment. Office Hours are 9:00 a.m. to 5:00 p.m., Monday through Friday, by appointment only.